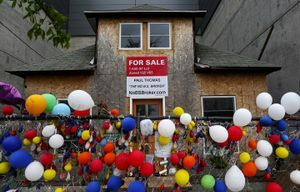 The owner of Ballard’s ‘Up’ house, who turned down hundreds of thousands of dollars and chose to stay in her home until she died, remains a mystery. THE MYSTERIES of her life remained locked in her memory until the end. She displayed only a few pictures in her house, most prominently of her mother. In rare moments, she told strange, fantastic tales about herself before quickly shutting down. Over the years, her past faded like lost islands. No one knew what to believe. After she died, Barry Martin, the man who took care of her at the end, went through her house. 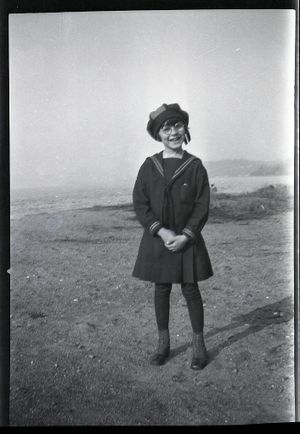 The things she left behind told him small stories: black-and-white photos of her and her mother at their Ballard cottage, check stubs for short stories she’d written, her mother’s divorce records. In the attic, from inside an old shoebox, Martin pulled a small, green book, not much bigger than a notepad. It smelled of mold. He flipped through the pages filled with autographs from the 1930s and ’40s. Some names he knew. Most he did not. 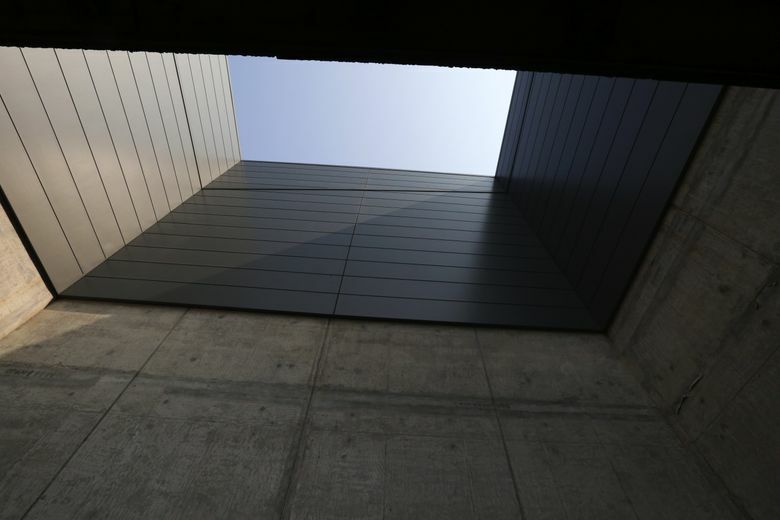 Just who was Edith Macefield? 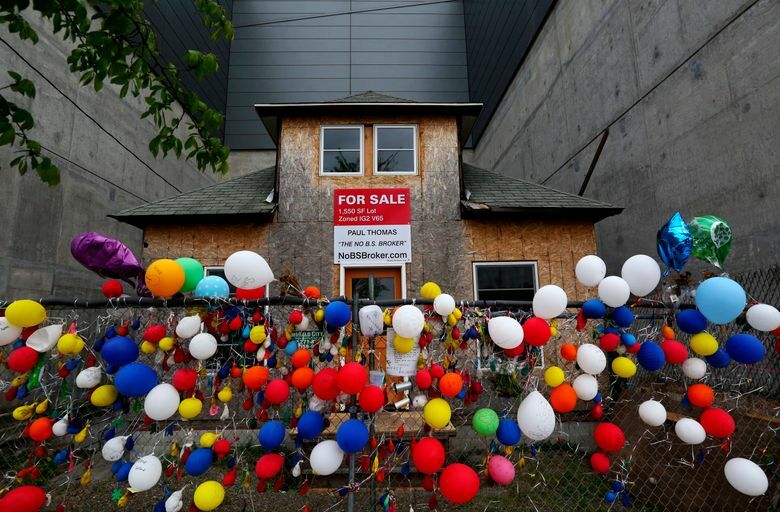 EDITH MACEFIELD lived at 1438 N.W. 46th St., right by the Ballard Bridge, in the same story-and-a-half house since 1952. We call it the “Up” house. She called it Whitewood Cottage. Her mother died in that house. Edith was robbed at gunpoint there. She rejected hundreds of thousands of dollars to continue to call those 1,050 square feet home. On June 15, 2008, after pancreatic cancer left her frail, she lay down on the burnt orange couch in the living room of that house and died. She was 86. She became a cause célèbre, the little old lady who said no to big developers. Old Seattle vs. New Seattle. 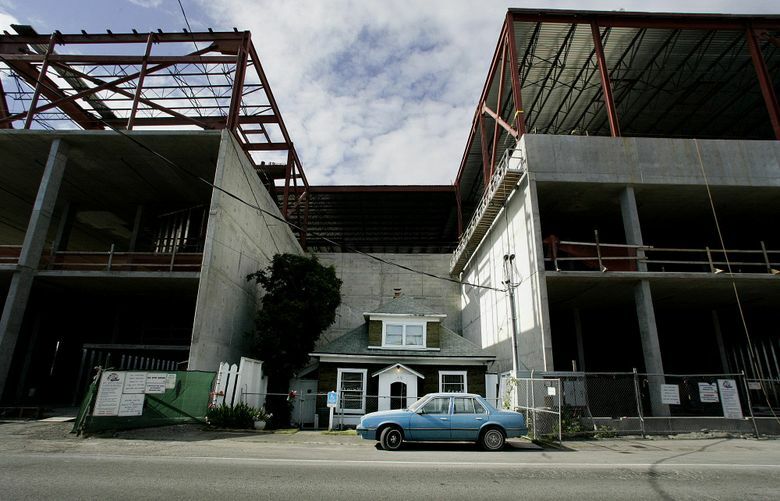 You could look at Edith’s house, boxed in by concrete and steel, and see whatever you wanted. Her story spread virally from Seattle to faraway places like London, and soon her house was everywhere, for everyone. And yet almost no one, not even the people she kept in close company, knew much about her. 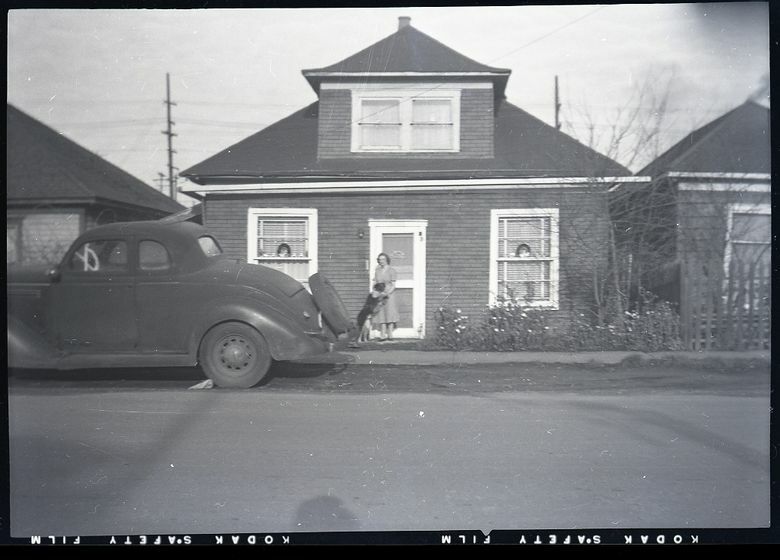 Edith Macefield in front of her house, with a neighbor’s dog and a late 1930s Ford Coupe. I don’t know what to believe, either. Off and on for a month, I tried to pin down Edith, mostly to no avail. I think she would have liked that. One afternoon, I drove to see Gayle and David Holland at their sprawling home in Stanwood. Edith baby-sat Gayle and her sister in the ’50s. She bought her an outfit for Easter and took her to her cabin in Arlington. No matter how many years passed, Edith never saw Gayle as anything other than that little girl. Gayle, now 71, retrieved a scrapbook labeled with Edith’s name from inside. She pointed to a map of the old neighborhood. Gayle and her family lived on one side of Edith’s house and Gayle’s grandmother lived on the other. It was a neighborhood then, with a small string of houses and just a few kids, but a neighborhood nonetheless. Gayle would go to Mike’s Chili Parlor, up on the corner, and get candy from the owner. 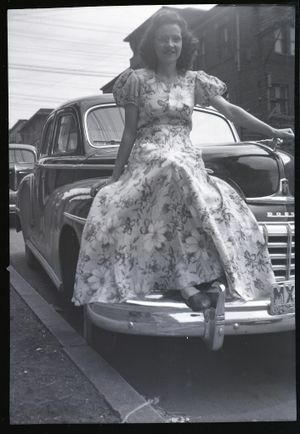 Edith Macefield, pictured in Chicago in 1947. She loved playing music. Gayle and her family moved in the mid ’50s, and she didn’t reconnect with Edith for another 40 years. Gayle kept the letters Edith sent her over the years, most touched with sweetness. What she didn’t know, until after Edith died, is that Edith had kept all of her letters, too. I suppose we are all getting older, although it’s hard for me to think of the sweet little girls next door as anything but young and full of the merriment of the green years. I know it all was years ago, but in my memory it’s as fresh as yesterday. WHEN THE DOCTOR delivered the news, Edith didn’t act surprised. 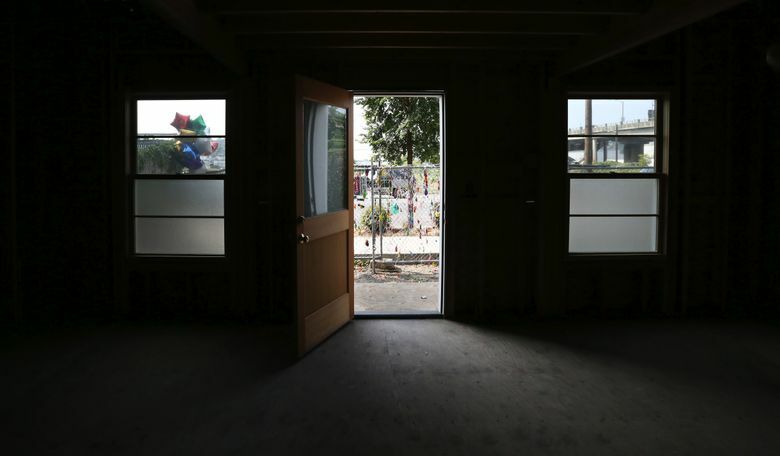 Three or four times, Barry Martin, the construction superintendent who worked on the development around Edith’s house, walked her to the hospital’s entrance. But each time she refused to go in. When she finally had tests done on her stomach, the doctor told her she had pancreatic cancer. Afterward, Barry asked if she understood what that meant. Edith said she did. It was terminal. They never really spoke about it again. 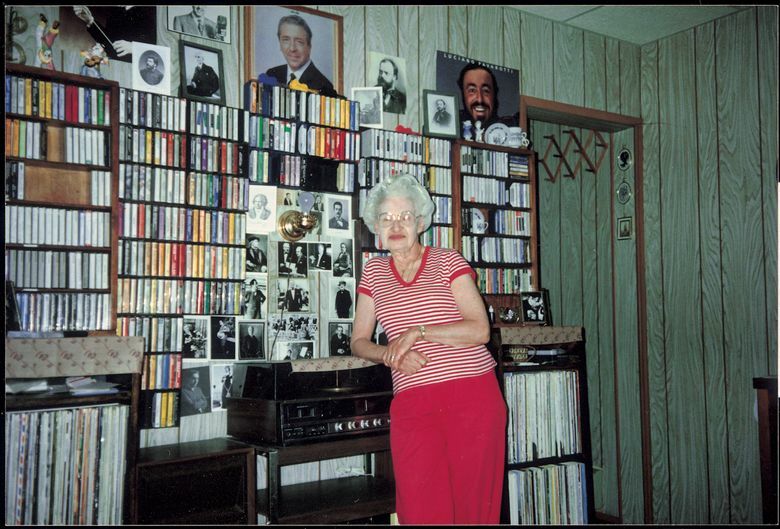 Edith Macefield at home surrounded by her collection of records and movies. She enjoyed listening to music at night. Barry worked for the construction company, but one day in 2006 Edith asked him to drive her to a hair appointment. He did, and she asked again. Over time it became their routine, along with the other duties he picked up: cooking, cleaning, scheduling appointments, talking to her doctors, dealing with her verbal sparring. Often, she would call him late at night, or right after he left, and tell him she needed help with her pills or the CD player. He remembers her thanking him only once. 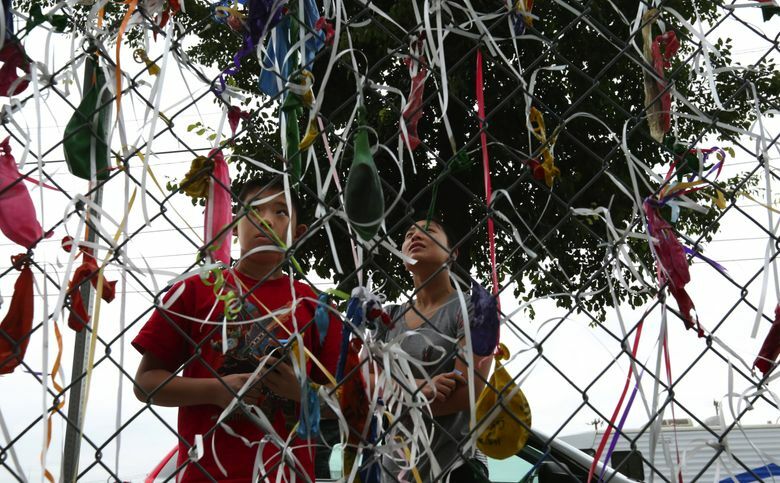 “It made me think that she was afraid that if she did that, she would be vulnerable,” he says. She left him everything, including the house, which he eventually sold for more than $300,000 to a businessman. He used the money to pay for his children’s college educations, and the future of the house has been in limbo ever since. He looked through her stuff after she died, hoping to find pictures or postcards from Europe — anything to verify that she spent time there. He found nothing. She never talked about any of her three husbands, and he never found any pictures. She mentioned a son who died from meningitis at 13, but Barry found no tangible reminders of him. 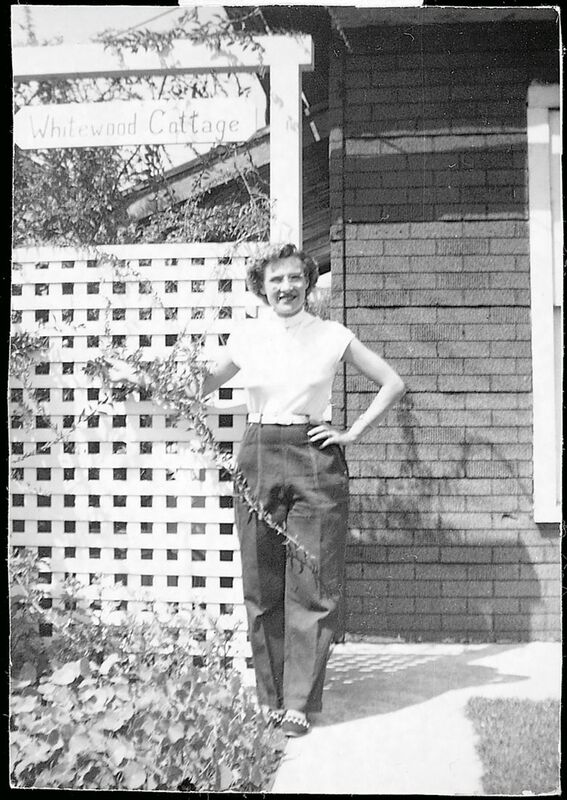 Edith Macefield outside her Ballard house, which she purchased in 1952 and called Whitewood Cottage. She told wild stories about famous musicians and living at a castle in Europe. She said lots of interesting things, but whenever Barry pressed for more, she changed the subject. He gave the porcelain animal trinkets in her house to Gayle, who displays them in her own home. 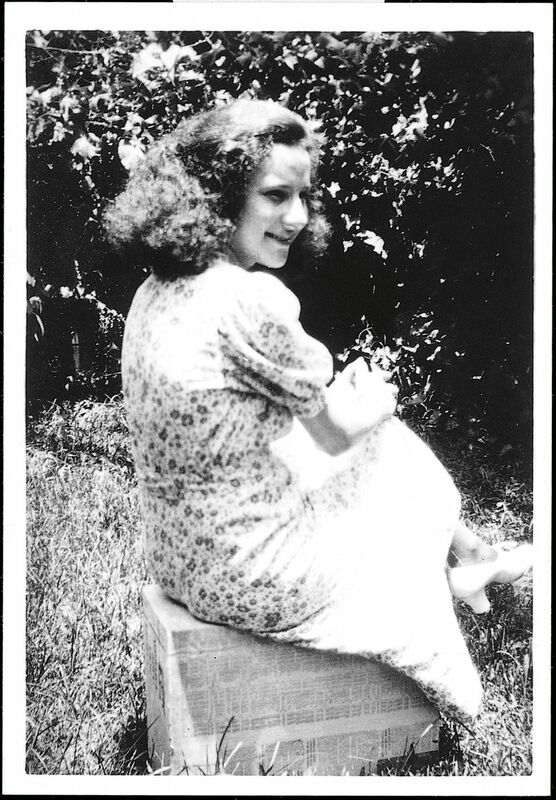 Edith’s furniture went to Gayle’s granddaughter, and Gayle has never taken off Edith’s ring. Barry kept most everything else in a pile of boxes at his house. A few days after we met, Barry handed me one of those boxes, hoping I’d find some truth. I manage a downtown apartment. The building is old, but by no means a fire hazard … But because the outside is somewhat dingy, the constant remarks are — “Tear the shack down!” “It’s a fire trap!” “A dump!” etc. Our building is tenanted by pensioners and other common decent people who cannot afford to pay higher rent. If all the older buildings were torn down, where would all these people go? 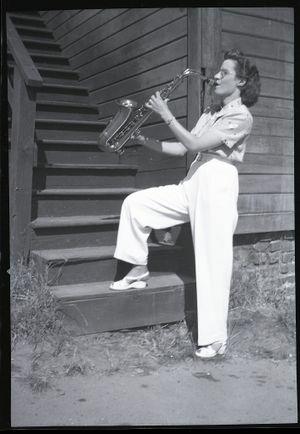 Edith Macefield, 606 Columbia St.
Edith Macefield as a teenager in New Orleans, 1938. THE BOX TURNS into a hall of mirrors: Everything I find leads to more questions. Stuffed in an envelope, Edith kept three marriage certificates, all from different countries. In 1939, she married James Macefield in England. In 1958, she married a man in Wales. And in 1984, she married again in Italy, although a handwritten note on the envelope says the man died soon after their honeymoon. But even what on the surface looks concrete soon becomes strange. None of the marriage certificates have an official seal. The handwriting looks suspiciously similar. The same person witnessed her wedding in 1939 in England and in 1984 in Italy. More to the point, when would she have had the time to find love and get married in Europe three different times? And why did she keep the name Macefield after marrying two more times? 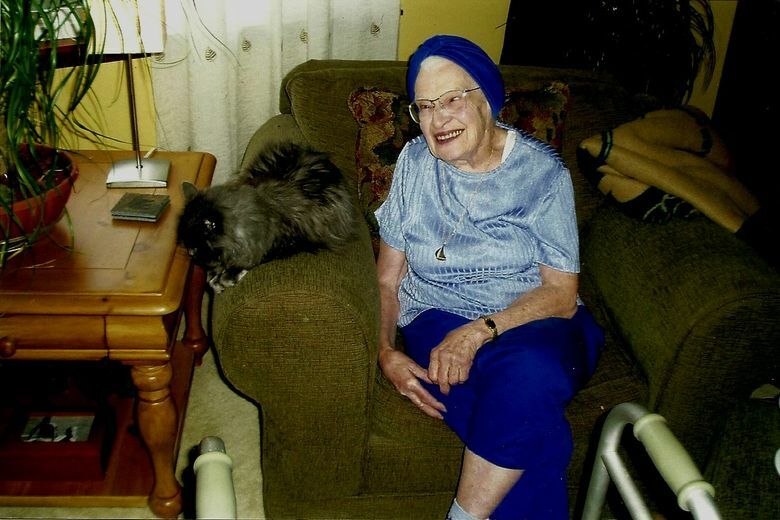 Her birth certificate says she was born Aug. 21, 1921, as Doris Edith Wilson in North Bend, Ore. At some point she stopped going by Doris, although the name appears sporadically into the late ’30s. She kept school records from second and third grade in Aberdeen for Louis Wilson, who I presume to be her brother. But I never saw his name anywhere again. According to records, she never served in the military. She spent $23,000 in 1994 to publish two copies of her 1,138-page novel titled “Where Yesterday Began” and dedicated the book to a doctor who remembered little about her when reached by The New York Times. She kept copies of the short stories she had published in obscure magazines, for which she received up to $75, but there’s no evidence to suggest she made it big in Europe. What I do know is that she bought her house in 1952 and by 1954 had paid it off. She shows up in the city directories starting in 1950 as Edith W. Macefield, a widow. 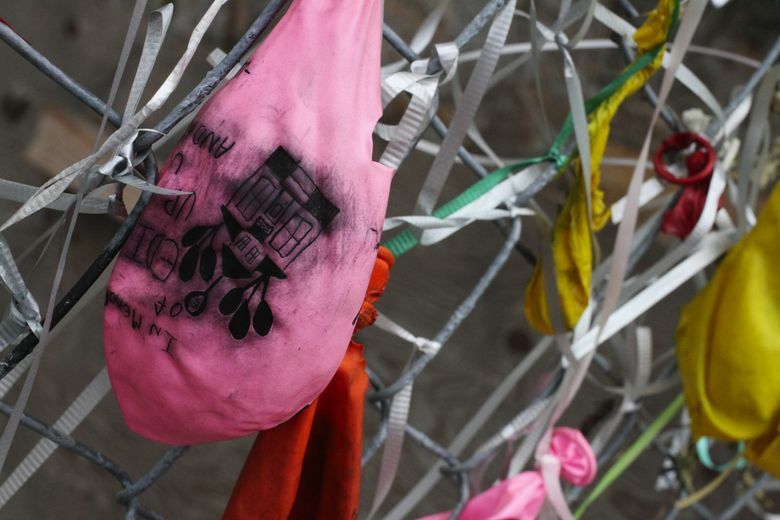 Metal fabricators, electric companies and vacant lots replaced the homes in her neighborhood over the years. She loved listening to music. She loved writing. She did both as often as she could but never enough. She worked as a manager at Spotless Stores and as a dental lab assistant. Her mother died in 1976, and she retired around the same time. She is buried above her mother in the same plot at Washelli Cemetery, near a tree and the road. BY THE TIME I SEE the green book with the signatures, my head is spinning. Taylor Bowie, a local antiquarian and avid fan of old actors and musicians, agrees to take a look. I pull out the book at a coffee shop in Ballard, not far from where Edith’s vacant house stands like a dead leaf in the fall, and warn him about the musty smell. He turns the pages and rattles off names that used to mean more than they do now: Bob Chester, Richard Crooks, Maurice Chevalier. He shakes his head and stares. He points out another signature that leaves him skeptical, but not more than 15 seconds later he comes across a signature he knows well: Warner Baxter, an actor whose autograph he has collected for years. The signature is absolutely real. He turns to more names. Ronald Colman, another actor. 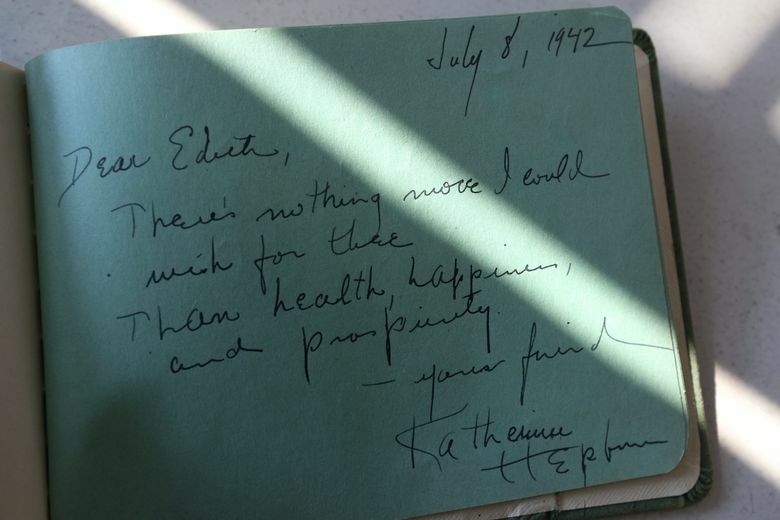 A few pages later is Katharine Hepburn. He lights up as he reads each name aloud. Jean Gabin, Harry James, Jimmie Noone. The more he turns, the more intrigued he looks. Some of the signatures include exact dates and locations: New Orleans, Chicago, Los Angeles. Others have elaborate, personal notes and strange poems. By the last page, Bowie closes the book and says that at least two-thirds of the signatures are real. It is always a delight to receive encouragement from one who shares a similar life outlook. But do let me explain: long ago stood this little string of houses in a semi-industrial area of old Ballard. Nestled between two other old-timers rose this story and a half construction that called out to my aging Mother. This was the house my Mother wanted sooo — she dragged me all the way from England to see and approve her decision. You see, she had never had a home of her own. What could I do? I bought her the house. Now I am eighty-five, disabled and here come the offers … Even if I wanted to, I’m too crippled to move. But even so I’ll never give up the contentment my Mother and I found here. Jayson Jenks is a Seattle Times staff reporter. He can be reached at jjenks@seattletimes.com. 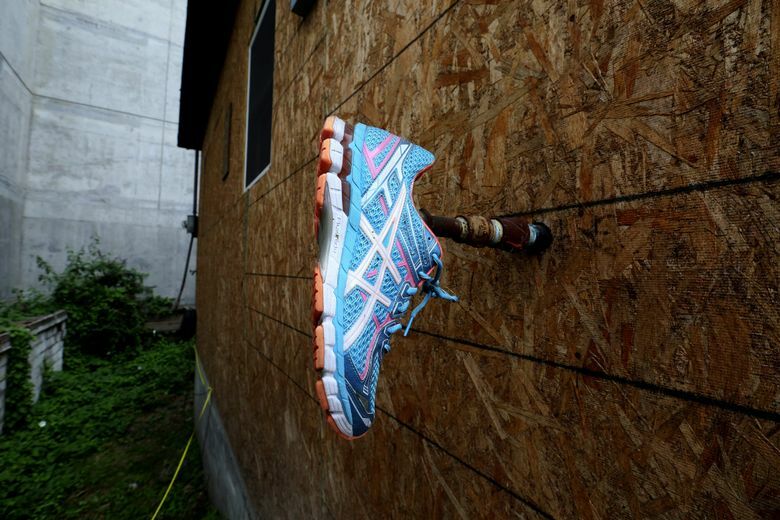 Alan Berner is a Times staff photographer.